Greetings from the church of Laodicea: Weeks after we all have been shaken by the news of the Wycliff Bible’s “updated” version of the God’s Word, we are again seeing another apostasy rising to full bloom. God’s very own words which He Himself commanded not to be changed are now being “updated” and preached by hundreds of churches across Great Britain. The Laodicean church has reduced the Ten Commandments to the Ten Suggestions. From the Telegraph – The religious rules, which Christians believe were etched onto tablets by God and given to Moses, have been modified to use up-to-date language and principles. Inspired by last year’s riots, the new vows include “manage your anger”, “know God” and “catch your breath” and are understood to be used in more than 600 churches in Britain. The original “thou shalt not steal” has become “prosper with a clear conscience”, and the lengthy “thou shalt not take the name of the Lord thy God in vain” becomes “take God seriously”. The commandments, designed by popular evangelical preacher J John, have been praised by religious leaders for bringing practical advice to modern congregations. 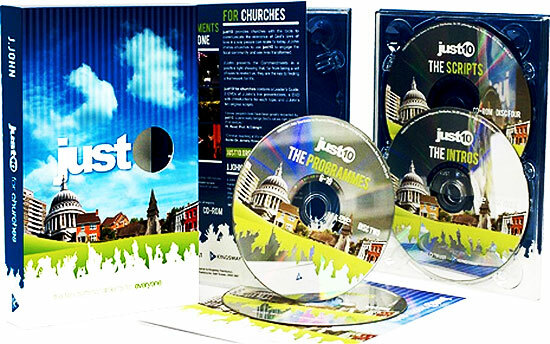 Using short, simple language interspersed with slang, the new rules have now been released on a DVD called “Just 10 for churches”, aimed at providing guidance. “Thou shalt not commit adultery” have been edited to “affair-proof your relationships”, and “honour thy father and thy mother” has altered to “keep the peace with your parents”. J John claims his commandments enable “everyone to understand God’s timeless principles on how we should live” and said he was inspired to write them by last summer’s riots. The Reverend Paul Roberts, 54, vicar of St John the Evangelist in Old Coulsdon, Surrey, which dates back to 1210 AD, is among those using the new commandments. He said: “It’s basically a way of presenting the Ten Commandments to help people connect with them in a positive way. ”Rather than just seeing them as a list of things you shouldn’t do, it is meant to help people live as God intended for our good. Wayne Dulson, 40, minister of Loughton Baptist Church, Essex said: “People really engaged with the Ten Commandments in a new and fresh way. “People now see these commandments not as a set of rules but as a template for living so that we experience God’s best for our lives. “All ten commandments were extremely challenging, especially as the series helped us see them in the context of modern day living. Even former Conservative Shadow Home Secretary Ann Widdecombe, who left the Church of England after objecting to women priests, has backed J John’s rules. ”I’d say it’s not a patch on Moses but not a bad set of rules really,” she said. It appears that the writer of just10 has placed his own wisdom above the Holy Ghost whom Jesus said would lead us and guide us into all truth. Furthermore he exalts himself above the Most High, in that he thinks he is a better teacher than the Holy Ghost.